By “street children” I mean not only children whose parents have died, but also children who have been abandoned or neglected by their parents. Many street children are too poor to attend school but can return home after working on the streets all day. Every country in the world has orphans, some orphans are well taken care of, and some are not. But my heart really goes out to children living on the street without anyone to take care of them. Many have to scavenge to find their next meal. They might have to dig through trash cans just to find enough food to survive one more day. When I was living in Guangzhou, China in 1992, I saw a little boy begging for money at a train station. He was probably about 5 years old. I noticed that he had fresh, deep cuts on his feet. I tried to speak to him, but I was new in China and could speak and understand very little. Later I learned that the cuts on his feet were probably made intentionally, to cut the tendons of his feet so that he couldn’t run away. Probably he had been kidnapped and forced to beg and give the money to his captor. This distressed me terribly and I couldn’t get the image of that little boy out of my mind for months. When I grew weary of studying Chinese, I remembered that boy and realized the best way to make a difference was to learn to speak Chinese well so that I could communicate to the police and other officials who could stop this kind of thing in case there was no one there to translate for me. 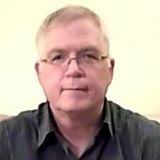 Now I realize there are other ways to make a difference-one of them is to get the word out to as many people as I can. I plan to take a trip to Manila, Philippines this Christmas season. 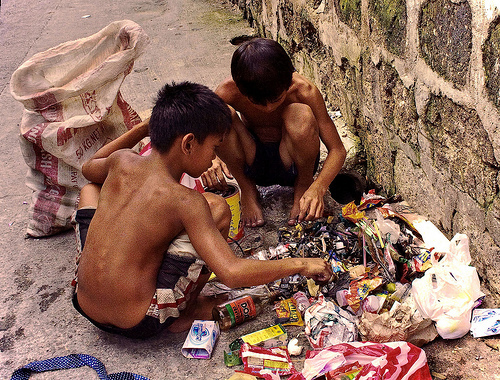 There are over 700,000 children living on the streets in Manila. I plan to find people there willing to help the street children. I would love to raise enough financial support that I can pay people there to work full time helping the children. Want to help street kids? Email me at freetrips7@yahoo.com. Does your heart ache for the kids like mine does? Let’s make a difference! Please click “press this” or “facebook” to repost this. What happened to the boy? Where is he now?